Amy Adams' fairy-tale return in "Into the Woods"
Fairy Tales in Stitches: Princess and the Pea? The Sisters Grimm: Book Nine: The Council of Mirrors (Sisters Grimm, The) by Michael Buckley was released earlier this month. It is the long awaited final book in the Sisters Grimm series, a favorite of many readers here. Also, if you are a fan, or perhaps interested in becoming one, a companion book to the series--The Sisters Grimm: A Very Grimm Guide --was released earlier this year which is a fun introduction to the series although reading the books is of course preferable. Since 2005, Michael Buckley’s bestselling Sisters Grimm series has delighted fans with the story of the Grimm family, guardians of the world's fairy-tale characters. There’s only one book left in the series, and this comprehensive guide provides the perfect refresher for fans looking to brush up before the dramatic final installment and is the perfect introduction for new readers. 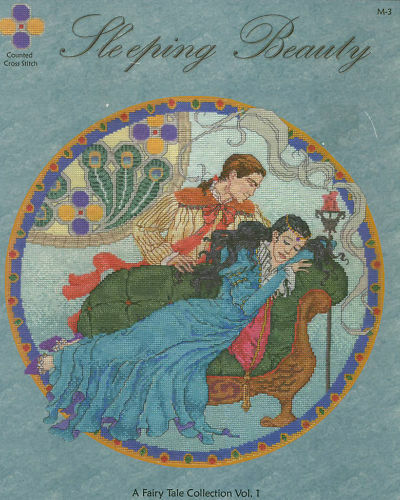 Featuring character profiles, maps of the town, found objects from life in Ferryport Landing, fairy-tale “facts,” and much more, this artfully designed guide supplements and enhances the beloved series. Even fan favorite Puck weighs in with his cheeky alternate take on all things Grimm. Volvo is riding the fairy tale popularity wave by offering us a commercial inspired by Little Red Riding Hood. Enjoy! Fairy Tales Framed: Early Forewords, Afterwords, and Critical Words by Ruth B. Bottigheimer has a May release date, but it is already shipping from most booksellers. You can preview the book on Amazon with the Click to Look Inside feature or on the SUNY site. 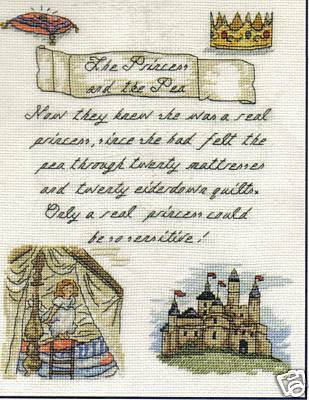 Most early fairy tale authors had a lot to say about what they wrote. Charles Perrault explained his sources and recounted friends’ reactions. His niece Marie-Jeanne Lhéritier and her friend Marie-Catherine d’Aulnoy used dedications and commentaries to situate their tales socially and culturally, while the raffish Henriette Julie de Murat accused them all of taking their plots from the Italian writer Giovan Francesco Straparola and admitted to borrowing from the Italians herself. These reflections shed a bright light on both the tales and on their composition, but in every case, they were removed soon after their first publication. Remaining largely unknown, their absence created empty space that later readers filled with their own views about the conditions of production and reception of the tales. What their authors had to say about “Puss in Boots,” “Cinderella,” “Sleeping Beauty,” and “Rapunzel,” among many other fairy tales, is collected here for the first time, newly translated and accompanied by rich annotations. Also included are revealing commentaries from the authors’ literary contemporaries. 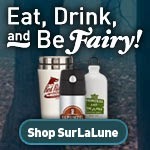 As a whole, these forewords, afterwords, and critical words directly address issues that inform the contemporary study of European fairy tales, including traditional folkloristic concerns about fairy tale origins and performance, as well as questions of literary aesthetics and historical context. Ruth B. Bottigheimer teaches European fairy tales and British children’s literature at Stony Brook University, State University of New York. She is the author of several books, including Fairy Tales: A New History, also published by SUNY Press, and Fairy Godfather: Straparola, Venice, and the Fairy Tale Tradition. Returning for another stage performance, the Stephen Sondheim and James Lapine Brothers Grimm fairy tale, "Into the Woods," is set to play this summer at Central Park's Delacorte Theatre as part of the Public Theatre's summer series. Sondheim's "Into the Woods" debuted in 1986 at the Old Globe in San Diego, California, moving on to "Broadway the next year, where it won multiple Tony Awards. This upcoming performance of the fairy-tale musical will also feature actors Jack Broderick as the Narrator, Jessie Mueller as Cinderella, Gideon Glick as Jack, Ivan Hernandez, Cooper Grodin, and more. Playbill.com announced Wednesday that two-time Tony Award winner Donna Murphy will be playing the Witch, a role originated by Bernadette Peters in the 1987 Broadway production, and Vanessa Williams in the musical revival. A full cast list has not yet been released, and actors playing the Baker, Little Red, and the Mysterious Man are unknown at this time. Preview performances are set to begin July 23 and the show will run through the end of August. I got to see the Vanessa Williams revival when I lived in Los Angeles about 10 years ago now. For fans of Adams, this should be a treat. 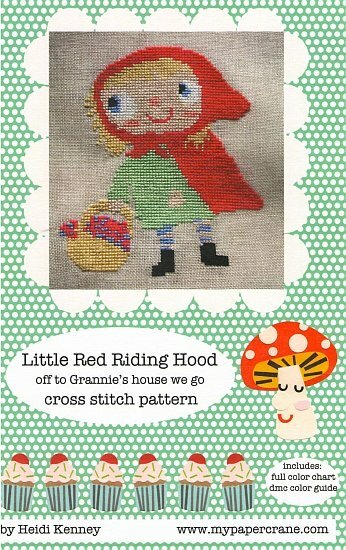 I happened across this one by accident since the title doesn't make as easy a reference to Little Red Riding Hood. But it is her and there's the wolf, too. The pears, well, I can't explain that. But perhaps there's a story there? This one is out of print, I found a copy at Cobweb Corner which I have not ordered from before myself. Shadows on the Moon by Zoe Marriott is released today. The Book Rat had a great interview with Marriott earlier this week. This is Marriott's second fairy tale inspired novel. She previously wrote The Swan Kingdom and more pictured below. 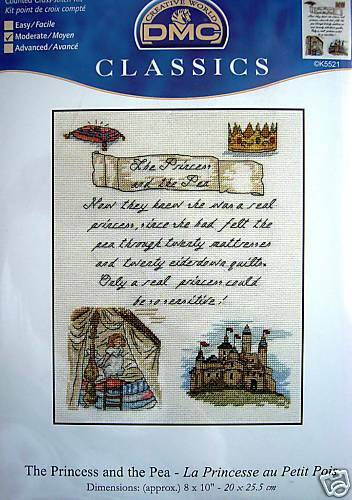 Here are Sleeping Beauty and Cinderella in cross stitch as interpreted by Miranda's Needle. I don't know if there were more in this series. 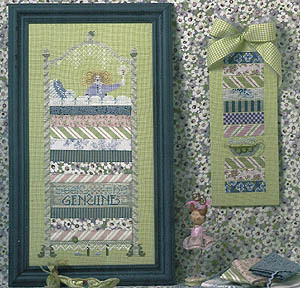 The reference sites on cross stitch patterns tend to only list what is for sale currently, whether out of print or currently in print. Finding comprehensive lists is difficult at best. This isn't quite as low as my usual bargain book posts, but I picked up the ebook at this price and thought I would share. After all, under $5 is usually considered a bargain book. Sun and Moon, Ice and Snow by Jessica Day George has dropped almost three dollars to $4.61 over the weekend. From the press release found at Market Watch. The games are already listed for preorder at Amazon, too, at Wii(TM), Nintendo 3DS(TM) and Windows PC/Mac. BURBANK, Calif., Apr 17, 2012 (BUSINESS WIRE) -- Disney Interactive today announced the development of "Disney Princess: My Fairytale Adventure," a new interactive journey from the globally successful Disney Princess franchise. Slated for release this fall, the video game will be available for the Wii(TM) system from Nintendo, Nintendo 3DS(TM) hand-held system and Windows PC/Mac. In the game, players will find that a spell has been cast over the beloved Princess worlds and will need to use their magic wand to help Cinderella, Rapunzel, Ariel, Belle and Tiana restore peace and bring "happily ever after" back to each kingdom. "The collection of Disney Princesses featured in 'Disney Princess: My Fairytale Adventure' have continued to timelessly captivate and charm audiences," said Javier Ferreira, senior vice president of publishing, Disney Interactive Media Group. "This new game will allow fans of all ages to enter the worlds of favorite princesses while experiencing iconic locations such as Beast's castle, Rapunzel's tower and Cinderella's ball." In "Disney Princess: My Fairytale Adventure," players will take on the role of an apprentice to the Fairy Godmother and will accidentally set off a series of events that cause friendly Sprites to transform into mischievous Imps. The evil Imps make their way into the worlds of Cinderella, Rapunzel, Ariel, Belle and Tiana, and players must pursue the Imps into each Princess kingdom to prevent them from causing any harm. With the use of their magic wand, they'll need to turn the Imps back into their original Sprite form, and return them to their rightful home in the Magical Kingdom. Each of the Princess worlds will allow players to explore and interact with familiar Disney characters such as Lumiere, Pascal, Flounder, Gus and other fan favorites who will help guide them through missions and progress though the game. Quests and mini-games, including platforming, hide and seek, and puzzles, are designed to test the skills of the youngest players and challenge older players alike. Players can also customize their avatar and room in the Fairy Godmother's Castle, utilizing gems that are earned throughout the game to trade for items in the in-game "Wishing Well" store. 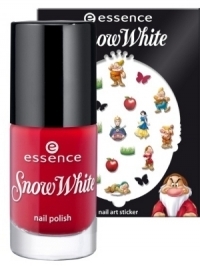 Outfits, accessories and tiaras can be purchased to dress up avatars, creating hundreds of different combinations. Special items like floor patterns, wallpaper and furniture can be used to personalize and build out each player's room in the Castle. 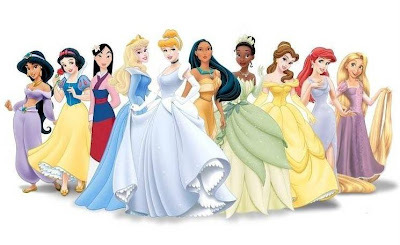 "Disney Princess: My Fairytale Adventure" will be available this fall for Wii, Nintendo 3DS and Windows PC/Mac. Please visit www.Disney.com/PrincessVideoGames.com for more information. Disney Interactive Media Group (DIMG) is one of the world's largest creators of high-quality interactive entertainment across all current and emerging digital media platforms. Products and content released and operated by DIMG include blockbuster mobile, social and console games, online virtual worlds, and the #1-ranked web destination Disney.com and the Moms and Family network of websites. Disney Interactive Media Group is the interactive entertainment affiliate of The Walt Disney Company (nsye:DIS). 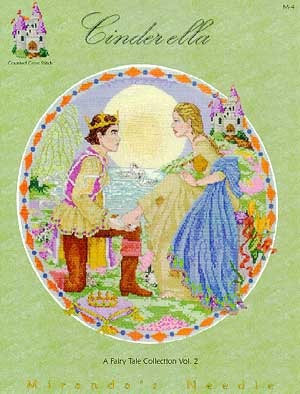 Today we have a series of fairy tales kits by DMC with three tales by Hans Christian Andersen. 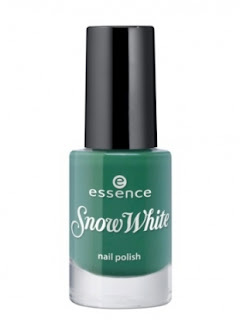 I tried to discover if there were more of these, but three is fun considering we get a Snow Queen and an Emperor's New Clothes along with the ever popular Princess and the Pea. I also like the usage of quotes in the design since words are always important to me. I found most of these on Ebay through international sellers which makes me wonder if they are a European exclusive. 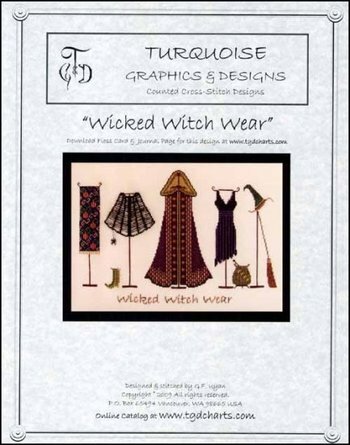 Here is another cross stitch pattern for today, Wicked Witch Wear. I took one look at this and thought of ABC's OUAT, especially that cape/cloak. 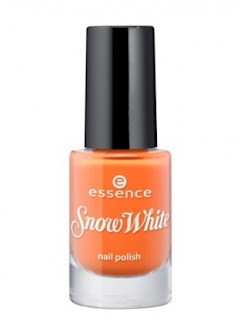 Yes, it uses some Halloween stereotypes but there is some humor and fun here, too, that are more reminiscent of Snow White's Wicked Witch. 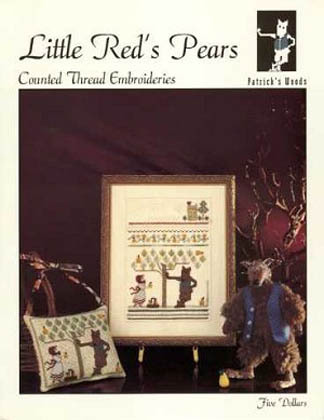 This one is still in print and avaiable through sellers like 123stitch. 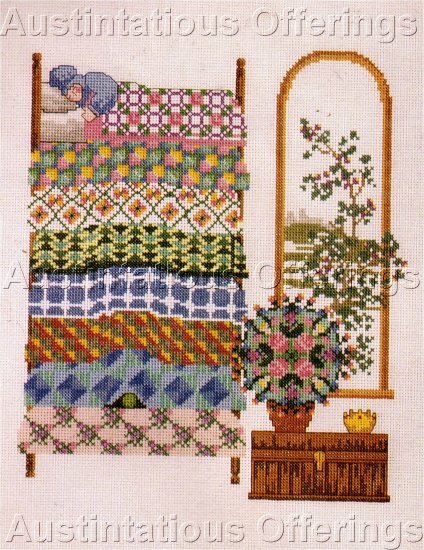 I shared a strange Princess and the Pea cross stitch pattern yesterday and here's another that is currently in print and available from most sellers. I found it originally at 123stitch. Well, it's not strange as much as unusual, too. What is going on with her hair? She really is having a white night. But that bed is awesome. And the image is too small to see what she is holding in her hand. I like the "Seek the Genuine" message, too. Although I've always taken issue with what is genuine in this tale, of course. Here's another version of the same image that shows a little more detail. So Disney is working with Essence brand nail polish to capitalize on the Snow White frenzy expected this summer. Here's the press release and some images. This summer season Essence is making sure the answer to 'who's the most beautiful girl in the world?' is 'You', as with the brand's new Snow White nail polish collection which is packing an irresistible dose of hotness, you'll surely achieve an ultra-stylish look. The fairytale inspired collection dares you to resist its beauty as rich pigments and nail lacquers glittered to perfection are not only super popular but can totally transform your look without barely any effort. 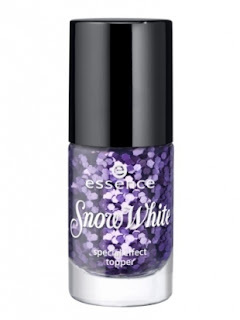 These nail art designs will surely turn your into a nail art diva, so if you're a true 'nailaholic', check out the new collection signed Essence in collaboration with Disney and pick your new season must haves. Nail color has become a definite must have for true fashionistas and the nail polish hues inspired by Snow White, the Evil Stepmom, Prince Charming, the Huntsman and the seven dwarfs will surely ensure you underline your fashion forward style, so browse through the lovely collection which features a rich pigmented, long lasting formula that delivers flawless results instantly and pick your new season style boosters. 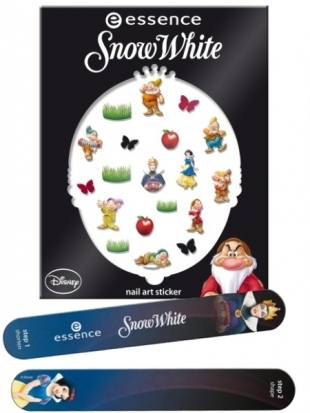 The new collection features all the essentials to achieving a stunning manicure, so make the best out of the nail varnishes, nail files and stickers, all inspired by the Disney characters, and give your nails a statement look that will surely spark comments. Give your nails a stunning look with the help of the accessories included in the collection. The Snow White stickers and nail file will help make the best out of your nails, so don't overlook the importance of accessories when it comes to your manicure as small details can really make an impact. The collection will be available for purchase starting June 2012 in select countries, so pick up your favorites as soon as they hit the shelves. 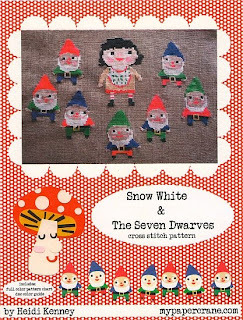 Here's a mish mashed fairy tale if I've ever seen one. This is an older design, certainly before this century, probably the 80s or 90s although I am unsure of the maker. I found the design on Austintatious Offerings and was tickled by it. 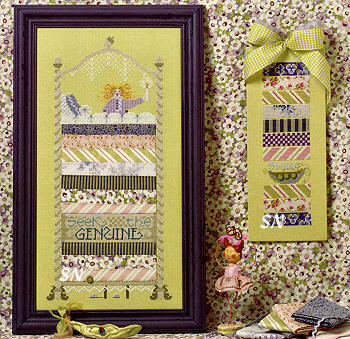 We all know I love Princess and the Pea designs, but for once, this is NOT a favorite. I like the bed well enough but what is up with that sleeping cap? And the window and chest? They rather overwhelm the bed. And why do I look at this and expect a wolf and Little Red Riding Hood to suddenly appear? Because for me, this looks like Granny climbed into the princess's bed. Perhaps that's the true story--the wolf didn't eat Granny, she just ran away and climbed into someone else's bed Goldilocks-style to get a good night's rest because that pea is obviously not disturbing her sleep. I take it back, I do like this one a lot for the humor factor alone. I have a whole story in my head for this one, a story I haven't read before! I spotted three fairy tales in there. If you want to count Pinocchio--I never do*--that would be four. Unless I missed one. And, no, I didn't count the two nursery rhymes either although I love those, too, along with the rest. Either way, this message is close to my heart in so many ways and it's a fun spot. And yay, Levar Burton while we are here! *Nothing against Pinocchio folks. My mother just brought me back a small Pinocchio marionette from Assisi. I just don't categorize him as a fairy tale. Just because Disney has made a film, doesn't make it a fairy tale. My love of Little Red Riding Hood and russian dolls have combined in this cute cross stitch/embroidery pattern. 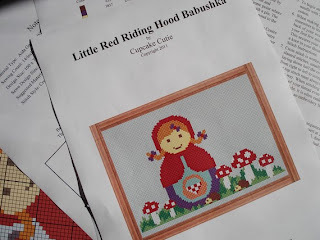 This listing is for the pattern only of the Red Riding Hood Babushka design shown and will be emailed to you as a pdf. 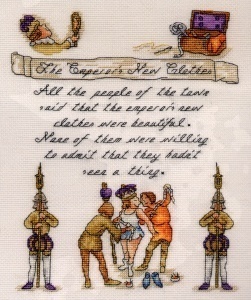 In the last photo you can see I have stitched the design using 14ct waste canvas on to a piece of heavy brown linen. I love the raised effect and the contrast with the dark fabric. This pattern is suitable for both cross stitch and tapestry/needlepoint as the pattern is based on a grid system with one square equalling one stitch. 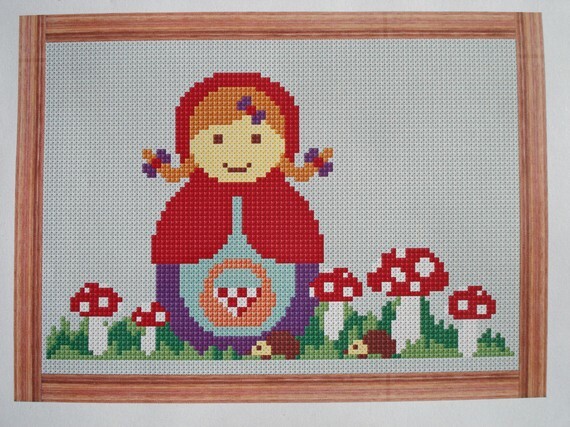 You can stitch on any size aida/canvas that suits you. The design itself measures 100 stitches wide by 70 stitches high at its widest and highest points. I have included the DMC colours as a reference but of course you could easily change all the colours and any combination would look fabulous. 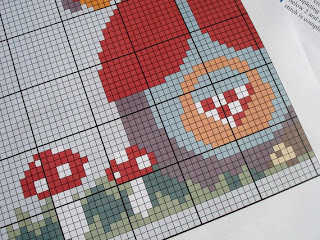 This is a great project to use up all those left over threads that we stitchers always seem to end up with! Your pdf will be emailed to you within 24 hours of purchase, if not sooner. You will require Adobe reader to open the files which is available free from adobe.com (reader). 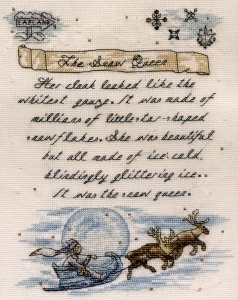 Here is another fairy tale cross stitch series, this time by Heidi Kenney for My Paper Crane. There are only two patterns listed at SuperBuzzy, but again I imagine there are more. The designer, Heidi Kenney, is American, but her Etsy shop was closed for vacation when I checked and so I shared what I could for this post. 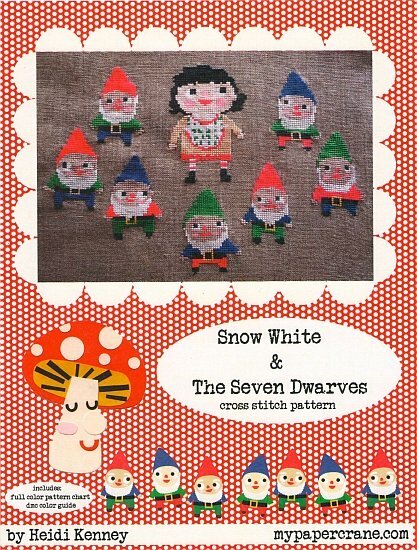 Her designs have a definite Japanese influence, especially her other crafts.